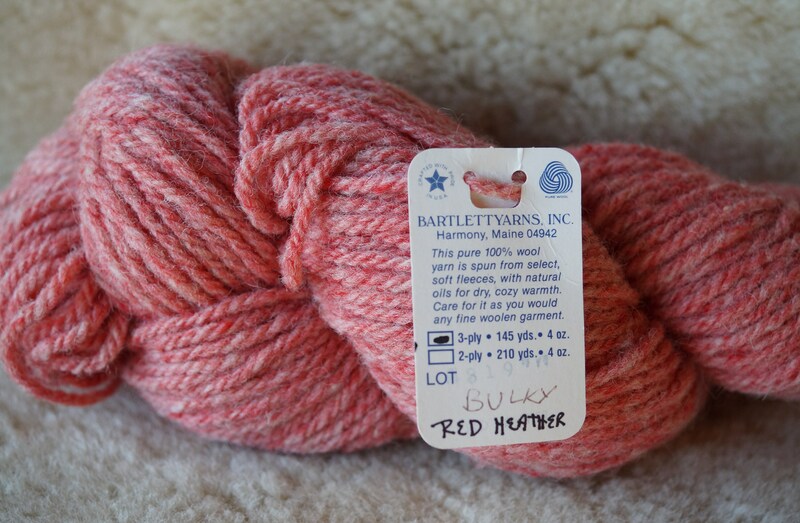 Bulky Yarn: RED HEATHER 3 ply bulky weight Fisherman Bartlettyarns. Mule spun in the USA. 145 yard wool skein [hank]. *Any excess postage is refunded. Items can be combined for a cheaper shipping rate.